Over the past two years, artists from Central Saint Martins and Kyoto Saga University of the Arts, in Japan have been collaborating on the Olfactory Art and Science Research project – an exploration into the effect smell has on our senses and how this links to memory. This collaboration has resulted in a growing body of artwork that engages with people internationally and is complemented by analysis of individuals’ responses, which helps us to chart how smell influences mood and relates to memories of past experiences. Here Nathan Cohen, MA Art and Science Course Leader, reports on the projects so far, in anticipation of the next exhibition in Sweden later this month. The Olfactory Art and Science Research project explores how memory association through smell can enhance well being, particularly for the elderly and those diagnosed with dementia. The artists involved, including staff and alumni from University of the Arts London and Kyoto Saga University of the Arts, have developed artworks that encourage viewers to experience smell in different contexts. Correspondingly, a team of scientists have conducted blind trials in order to identify which smells induce the strongest associative responses. Over the course of the project, the artists have developed a methodology for investigating how people respond to smell and how they can evoke memories in an art context. This has resulted in two shows to date, the first in Kyoto, Petite Balade and the second in Paris, Natuskashii – Souvenirs Olfactifs A(p)portés. The third exhibition Natsukashii – Doftminnen opens in the Wanås Konst Museum in Sweden (October 2018). The exhibition takes its name from the Japanese word for ‘nostalgic’ or ‘with nostalgia’. There is a long cultural history related to scent in Japan. Dr Yoko Iwasaki, olfactory researcher and Associate Professor at Kyoto Saga University of the Arts, first visited Central Saint Martins with fellow artists and students from the University in November 2016 to give a workshop about this history (supported by the Daiwa Anglo-Japanese Foundation). 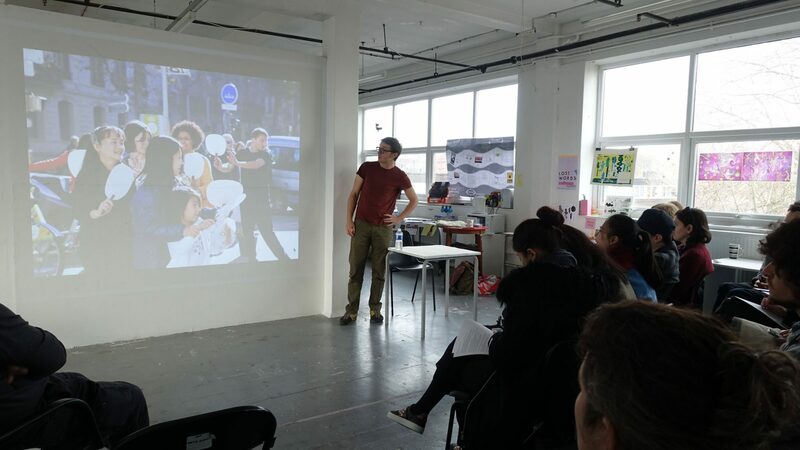 Boris Raux giving a talk to MA Art and Science (CSM) students about olfactory art projects, 2016. During the workshop, Iwasaki gave a presentation about ‘kōdo’ (the way of fragrance); Boris Raux, an artist and MA Art and Science graduate, spoke about his work with smell; Prof Yasuaki Matsumoto presented his film Eurydice combined with a performance, and then-student Hila Yamada gave an interactive performance titled La Femme, inviting students on the MA Arts and Science to participate. This event offered an introduction to some of the themes being explored on the Olfactory Art and Science Research project. 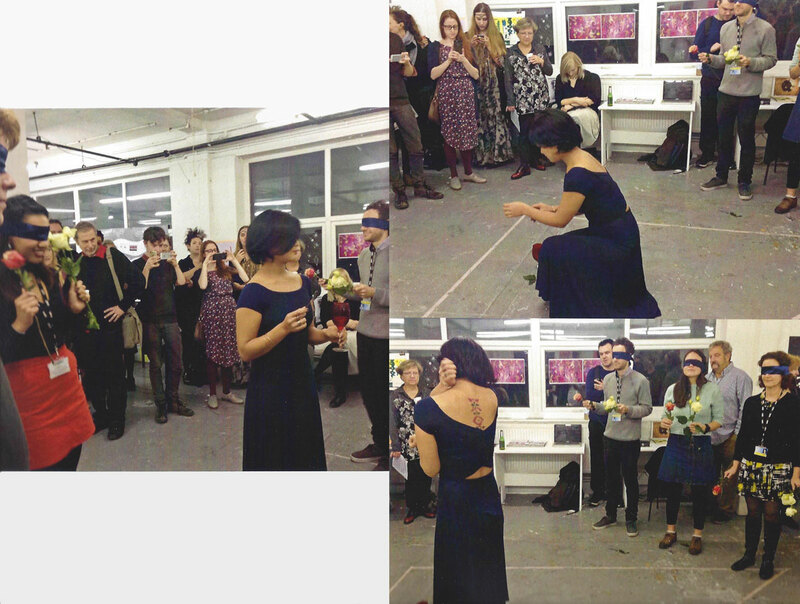 ‘La Femme’ Hila Yamada performance in the MA Art and Science studio (CSM), 2016. The programme of exhibitions and events related to the project has resulted in opportunities for students on the Central Saint Martins MA Art and Science and MA Fine Art courses to engage with others internationally in exploring the theme of scent. Funded by grants from the Sasakawa Foundation and Daiwa Foundation, two students, Michelle von Mandel and Natalie Lambert, were able to spend a month in Kyoto. Hosted by the University, they explored Japanese culture, created new artwork and shared the experiences with students from Japan, Korea and France. 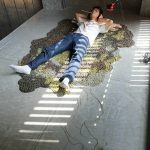 In return two students from Kyoto Saga University, Saito Yuma and Hila Yamada, came to London and exhibited their work in the Central Saint Martins Postgraduate Art Interim show. In July 2017, in a hot Kyoto, the team of artists involved in the Olfactory Art and Science research project came together for their first exhibition. 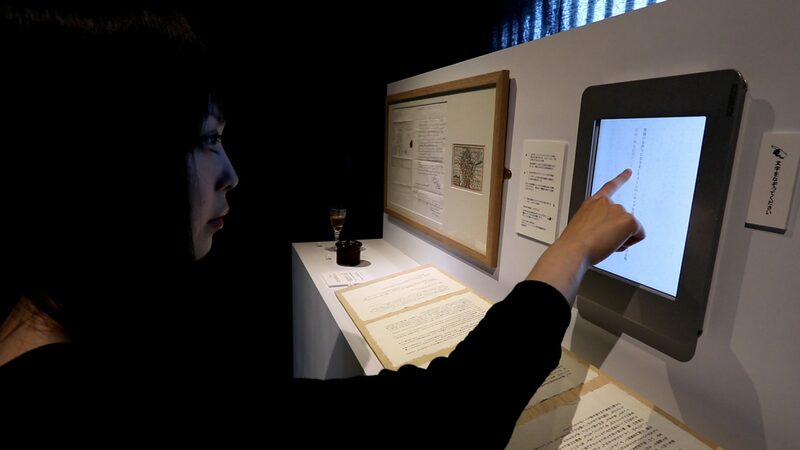 Held at Forum Kyoto gallery, the show explored different ways in which smell could invoke sensory and emotional responses through different media and presentations. ‘Komorebi (Light Through the Trees)’ Boris Raux Forum Kyoto installation, 2017. The exhibiting artists approached the ideas of smell in various ways – from the narrative-driven to the personal, through poetry and through physical or sensory interaction. 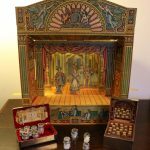 A broad range of media was used to create an array of immersive environments within which the viewer could experience smell as a distinctive element within different contexts. One common theme for all was a smell that evoked a sense of the landscape that pervaded the gallery. ‘Viola Odorata’ Nathan Cohen and Reiko Kubota, Forum Kyoto installation 2017. 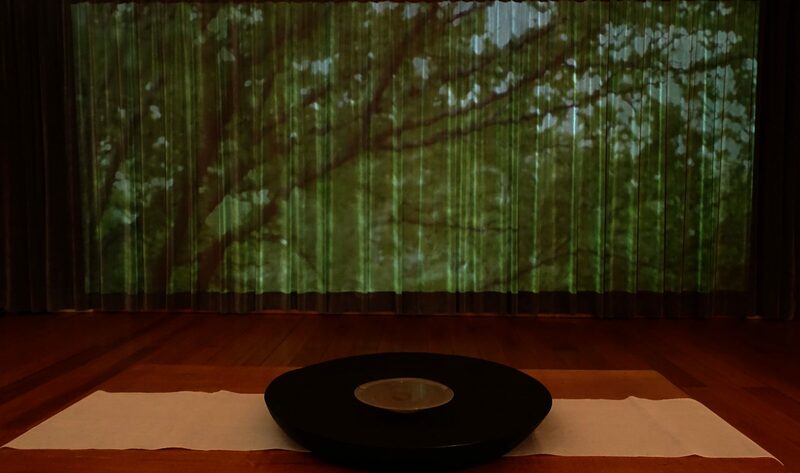 Komorebi (pictured above) immersed you in the scent of honey and pine combined with the sounds and dappled light of a forest, while images of the moon are contemplated as projections and in a book as you listen to poetry in Sarashina (pictured above). Viola Odorata (pictured above) explores memories of the past through touch, image and smell and Seirei invites you to explore smell by association with projected imagery that the artist describes as ‘an imagining of multilayered fragrances that are encountered, mediated by water’. The artworks each seek to invoke a natsukashii feeling in the viewer with their combinations of imagery and smells. 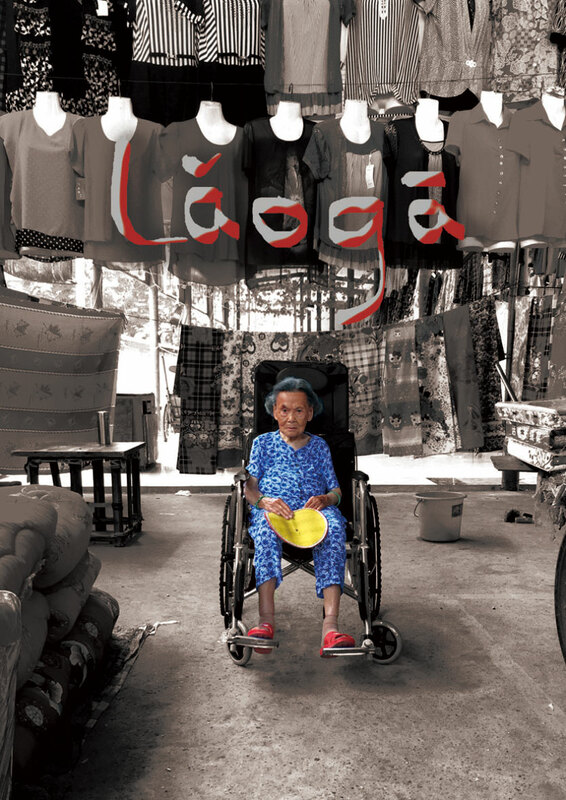 The exhibition also included the first screening in Japan of Ansiqi Li’s ‘Laoga’, a poignant film about the artist’s grandmother’s life in China and her experience of dementia (Ansiqi Li graduated 2017 MA Documentary Film, LCC). Visitors to the show were encouraged to complete questionnaires about the memories invoked by each of the artworks. This information would then inform future development of the project. The results were later presented by Dr Iwasaki on behalf of the project group at the 51st Annual Meeting of the Japanese Association for the Study of Taste and Smell in Kobe, Japan. In October 2017, the second exhibition was held in Paris. The exhibits were a mix of artworks developed further in response to the Kyoto show and brand new works created with the experience of viewer interactions and responses in mind. The exhibition filled the gallery in the Maison du Japon (La Cité Internationale Universitaire de Paris) along with a complementary show La Tête en Fumet. This show comprised a group of artworks on the theme of olfaction and childhood memories made by students from the École Nationale Supérieure des Beaux-Arts and the Université Paris 1 Panthéon-Sorbonnes, in a studio workshop run by Boris Raux. 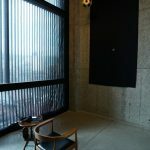 In the Maison du Japon all the works could be viewed resulting in a dynamic interpretation of smell and its ability to evoke memories. Another survey of viewers responses was also carried out during this show, providing a comparative set of feedback with which it would be possible to gauge individual’s impressions of the artworks in the show. Wanås Konst Museum provides the setting for the next exhibition which will also include work by artists from Sweden. It will be a celebration of the many ways in which smell evokes recollections of past experiences which can stimulate the mind. It will also provide the basis for further research into how we can create forms and artefacts that can be beneficial to those with memory loss, and their families, friends and carers. 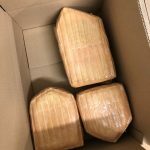 Perhaps cheese is significant to you, exuding strong aromas of Northern France. You can indulge in the smells of the English kitchen and countryside. Flour forms the path for a performance that leads you through to the work of other artists investigating water, ash, leaves, flowers and many other olfactory and sensory stimuli. The exhibition will take place from 27 October until 4 November. Visit the exhibition’s webpage to find out more. ‘Pomander’ Nathan Cohen and Reiko Kubota, Wanås Konst exhibition installation 2018, an interactive artwork exploring historical smells and narratives that evoke natsukashii feelings. The research project is supported by JSPS KAKENHI under the direction of Dr Yuriko Sugihara, Doushisha Women’s College of Liberal Arts). 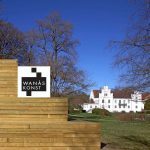 The Wanås Konst Museum exhibition is also supported by the Scandinavia–Japan Sasakawa Foundation, MusVerre Contemporary Glass Art Museum and Swedish Arts Grants Committee. If you would like to know more about this project please visit: olfactoryresearch.net/index.php/research/ or contact: Nathan Cohen at n.cohen@csm.arts.ac.uk. Photographic credits: Dr Yoko Iwasaki, Prof Yusuaki Matsumoto, Boris Raux, Nathan Cohen, Ansiqi Li, Akio Tsuji.